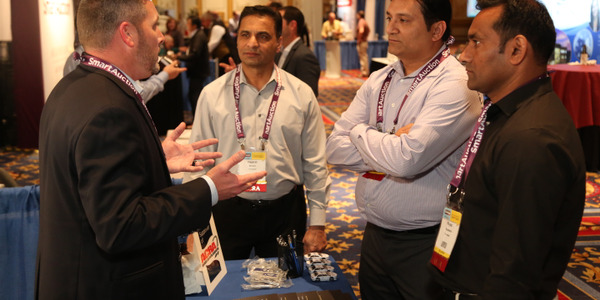 What happened at the Car Rental Show in Las Vegas this year? 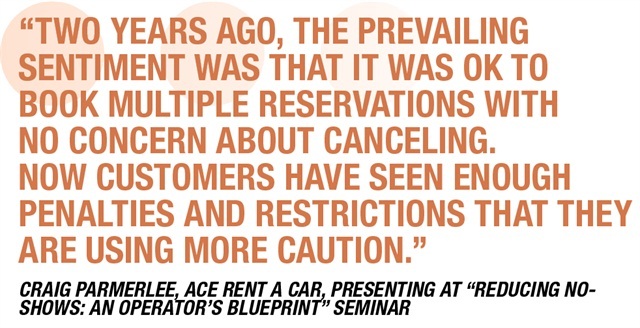 Perhaps the question should be, “What didn’t happen?” For the 17th year, auto rental operators and their vendors made the pilgrimage to the desert to learn, network, educate, gain consensus, take stock of the here and now and prognosticate on the year ahead. 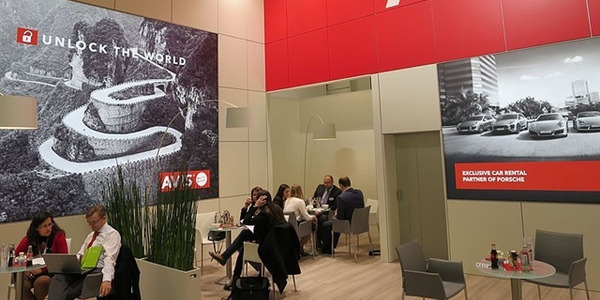 The industry is on solid ground post-Recession, and judging from the expanded show floor and new vendors, it’s clear that the auto rental business is good business. But this year, the mood was different. 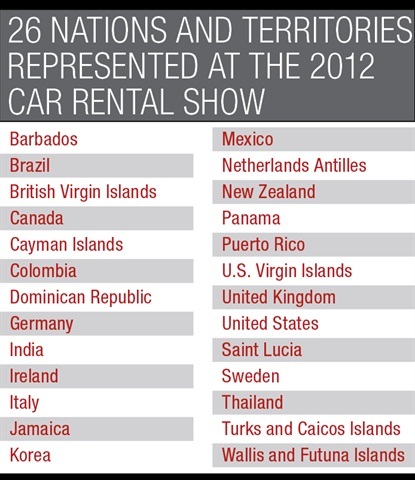 From the first-ever address by a national legislator to keynote presentations from the top of the industry, from the record number of international visitors to representation by all the major car rental companies in the American Car Rental Association (ACRA), the Car Rental Show has turned a corner as an event that represents the car rental industry in its entirety — and around the globe. If you missed this year’s show, this show coverage won’t do it justice. 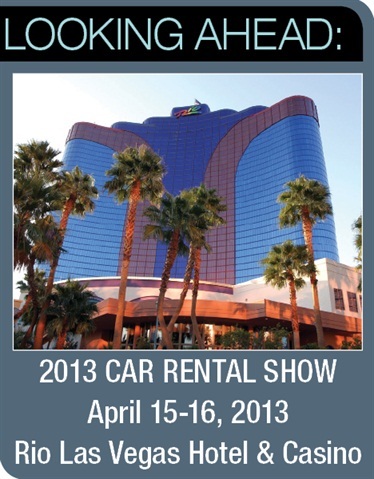 You’ll have to wait and see for yourself in 2013, April 14-15, at the Car Rental Show’s new Las Vegas headquarters, The Rio. Get involved to fight excise taxes, challenges to the Graves Amendment. The Congressman from the Sixth District of Missouri addressed the audience on how the historic Graves Amendment, which eradicated vicarious liability for rental and leasing companies, was passed in 2005. In addition, Sam Graves, who is chair of the House of Representative’s Small Business Committee, posed the need for tax certainty, earmark reform and energy independence through the development of domestic fuel supplies. “We are an energy rich nation that acts like an energy poor nation,” he said. Graves warned that we need to gain control of the regulatory environment. “Things that couldn’t get done through legislative authority are now being pushed through using regulatory authority,” such as through the likes of the EPA, OSHA and the Department of Labor, he said. Graves also outlined a bill he co-authored that would eliminate car rental excise taxes on a federal level. The bill, HR 2469, is backed by ACRA as well. The car rental industry is growing. The Hertz Corp.’s chairman and CEO Mark Frissora outlined the current car rental landscape and showed where the growth opportunities are heading. Frissora said the industry benefitted from the restructuring of the auto manufacturers and weathered the economic storm with higher levels of customer satisfaction, stronger balance sheets and financing structures. He showed studies demonstrating that world travel will double by 2020 and U.S.-inbound international travel is projected to grow at a steady rate. He pointed to the fact that rental car revenue as a percentage of U.S. gross domestic product is growing. Hertz is seeing an increase in demand for sustainable travel, and the migration trend back into cities presents opportunities for new “total mobility solutions” and car sharing. Meanwhile, growth in local markets is driven by people who rent cars when they would have flown, he said. Frissora gave us a peek into plans for China, saying that Hertz is looking to acquire a Chinese rental company. 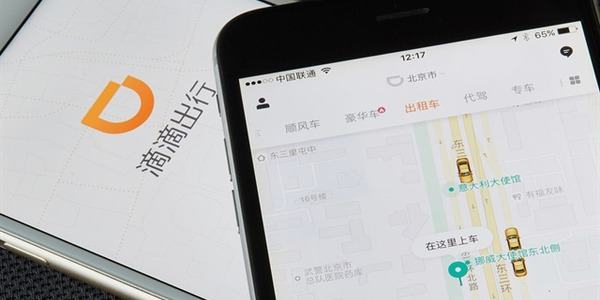 While chauffeured transportation in China has been the typical corporate model, he said that self-drive is spreading. 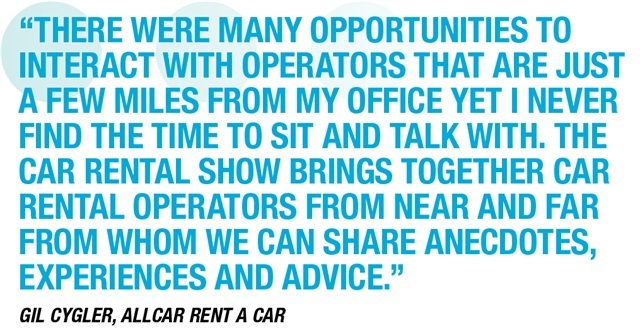 Fleet leasing and car rental are converging. 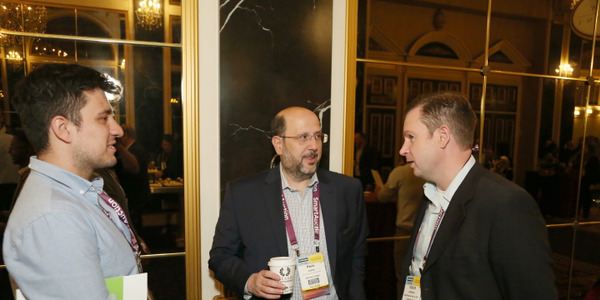 As part of his joint keynote address with Frissora, Gary Rappeport, CEO of Donlen, highlighted the potential synergies between the auto rental and commercial fleet leasing worlds. With a plan called “Hertz Value Lease,” companies with short-term needs will be able to lease a specific used rental vehicle from Hertz’s inventory. “It’s a new model of leasing for fleets,” Rappeport said, adding that it will work well for companies with short-term or temporary leasing needs. In addition, Hertz will incorporate Donlen’s telematics technology with Hertz’s connect2go car-sharing technology for pool vehicle management and corporate vehicle sharing. On the remarketing front, off-lease vehicles can leverage Hertz’s Dealer Direct and Rent2Buy sales channels to get retail or close-to-retail pricing for the lease account. 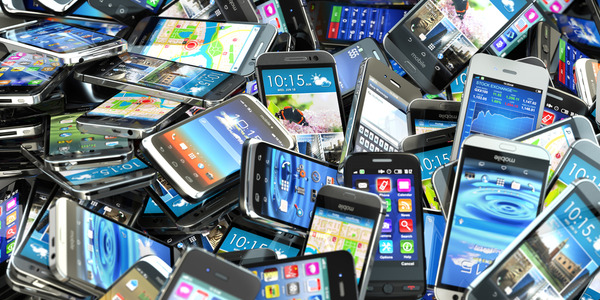 Take advantage of technology and communication trends or be left behind. 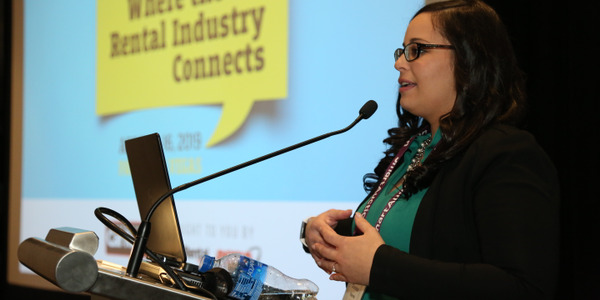 “We have allowed ourselves to be at the bottom of the travel food chain,” said Bob Barton, president of Franchise Services of North America (the U-Save brand) and president of ACRA. In the closing keynote address, Barton referenced Auto Slash, a booking engine that monitors car rental rates and automatically rebooks if the rate drops, which burdens car rental companies with a wasted GDS fee and commission for every new booking. Transparency helps with no-shows as well. “If you articulate your policies and procedures you won’t have a problem,” he said. Barton said to look to the airlines and hotels for new booking trends. Next year, direct sales at airlines will grow to 55.1%, while 86% of airlines will offer a smartphone app. 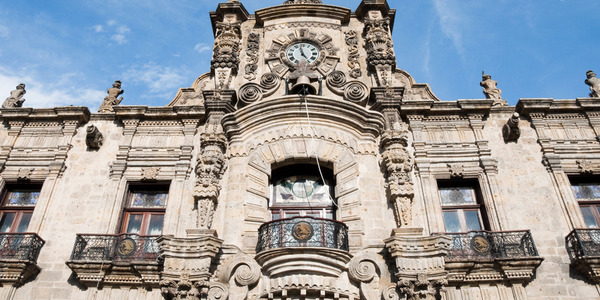 As a way to reduce commission costs to online travel agencies, hotels are now providing their inventory through proprietary sites such as RoomKey.com, formed by six major hotel companies. It’s time to build bridges within the travel industry. In the Tuesday morning general session, Geoff Freeman, COO of the U.S. Travel Association, explained that in the throes of the recession, travel was looked at “as the Rodney ­Dangerfield of industries,” while business travel — especially to Las Vegas — was portrayed in a negative light. 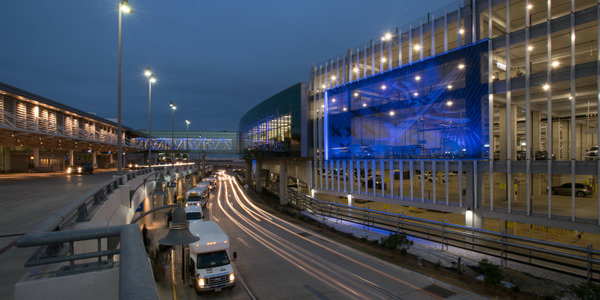 However, through the lobbying efforts of the association and through the ­Travel and Promotion Act — the first-ever nationwide travel ­promotion program — the government and general public are recognizing travel’s 14 million jobs and $1.8 trillion contribution to the U.S. economy each year. Nonetheless, “We’ve learned that when we act in a silo fashion, we don’t get the respect we deserve,” Freeman said. He added that with branches in all congressional districts and employing 14 million people, car rental companies possess a powerful voice in government that has yet to be fully heard. 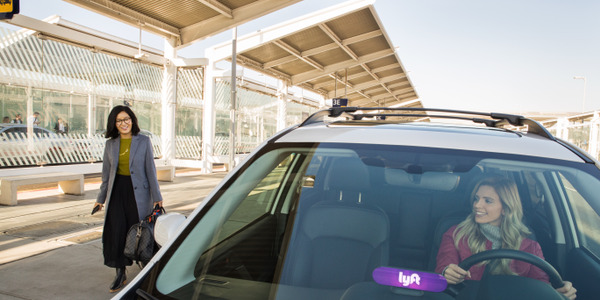 The U.S. Travel Association is actively engaged in the rental car tax fight as well, including the budget gap fight in San Mateo County, Calif. along with the San Francisco Convention and Visitor’s Bureau. 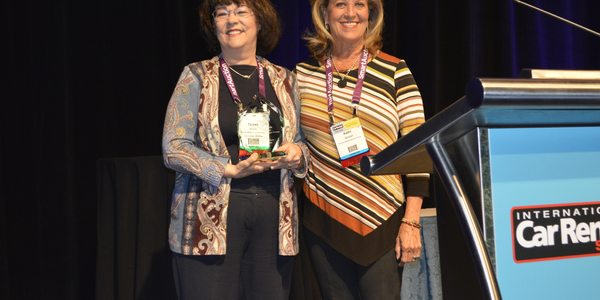 During the annual update presented by ACRA, Executive Director Sharon Faulkner, along with ACRA’s legal and legislative panel, discussed car rental-focused legislative activity and grassroots activism. ACRA efforts in Arizona and Maryland, for example, would require the renter’s insurance to pay first in any third-party liability claims — as the majority of states now require. The Arizona bill failed in a House committee vote during the Car Rental Show, while the Maryland legislation is still pending. In Florida, ACRA is tracking bills that would update the process for rental companies to report vehicles as stolen and would reform the state’s personal injury protection (PIP) laws to address fraudulent claims. Also in Florida, Faulkner addressed failure-to-return reform, which aims to end the “paperwork pushing” involved when trying to prove attempts to contact the wayward renter. The recoupment of vehicle licensing fees in New York was also discussed, as well as the continued effort to eradicate discriminatory excise taxes through federal legislation, HR 2469, sponsored by Congressman Graves. Grassroots efforts to end such taxes yielded results in King County, Wash., where the Safeco Field tax was allowed to sunset. Barton and other panelists reiterated Graves’ call to participate in the process. “Never think you are too small to make a difference,” Faulkner said. As an example, Gil Cygler of Allcar Rent-A-Car cited McKenzie Prokosch of Choice Auto Rental in Minnesota for her work to help pass anti-steering legislation in her state. 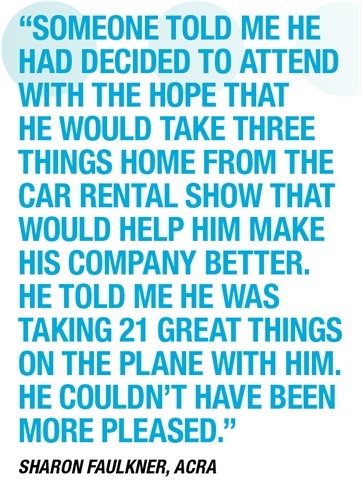 In an example of “what can happen when we’re not in the room,” says Gordon Reel of Enterprise, a 5% rental car tax in Charleston, S.C. was pushed to build an airport wing in an effort to lure Southwest Airlines. “The deck was stacked against us,” Reel said, but ultimately the airline came to the airport without the proposed tax. Don Fonte of Hertz offered the auto dealer lobby as an example of a motivated and organized lobbying group with tremendous clout in state capitols. “We can be just as effective,” Fonte said. Pujo Lays Down the Law. Leslie Pujo of LaPlaca Pujo, P.C. presented the legal and legislative update. Pujo summarized a case regarding damage recovery, Benson v. Budget Rent-A-Car System Inc., in which the court found that damages for a total loss can be based on retail fair market value of a vehicle before the loss, and that loss of use does not depend on showing full fleet utilization. Another case established that amounts owed under a vehicle rental agreement may be considered a “debt” under the fair debt collections practices act, but a rental company likely is not a debt collector. In other cases, a rental company was found non-negligent for failing to recognize signs of a habitual drug user who later caused an accident, while another case found that failure to provide vehicles with side airbags is not negligent maintenance. A pending state bill in New Jersey would decrease the daily motor vehicle surcharge. Legislation passed in 2011 in California outlines that for third-party injuries in an accident involving a rental by a foreign renter who purchased an optional insurance product, the rental company must forward a notice to the renter within 30 days after receipt of the notice from the injured third party. In a separate seminar on damage recovery, David Purinton of PurCo Fleet Services updated attendees on the status of PurCo v. Koenig. While the final decision has not yet been rendered, the Colorado Court of Appeals found that loss-of-use charges and appropriate administrative fees are recoverable from a renter when the renter returns the car in a damaged condition. 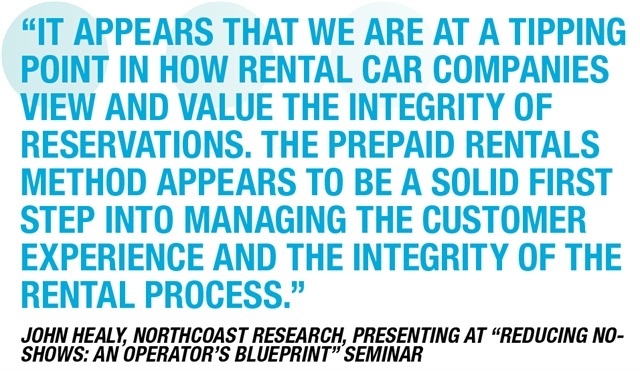 In this case, PurCo is recognized for “carrying the flag” of the auto rental industry. The decision holds far-reaching implications as the most detailed and comprehensive analysis to date in a reported decision specific to rental car damages.